Seymour Drescher is Distinguished University Professor at the University of Pittsburgh. He served as the first Secretary for the European Program at the Woodrow Wilson International Center for Scholars in Washington D.C. (1984–85). Known for his studies on Alexis de Tocqueville and the history of slavery, his book, The Mighty Experiment (2002), was awarded the Frederick Douglass Prize. 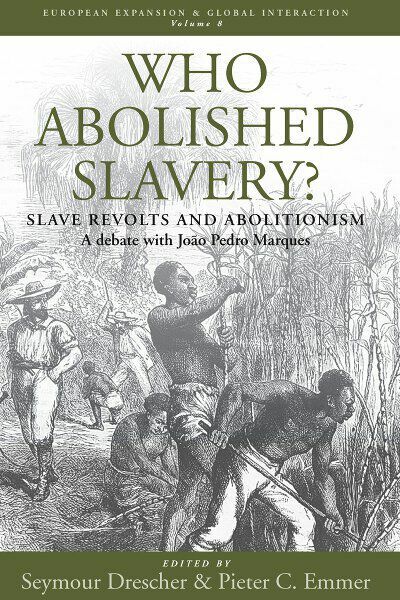 His most recent book, Abolition: A History of Slavery and Antislavery, is being published by Cambridge University Press. Pieter C. Emmer was Professor of the history of the expansion of Europe and the related migration movements at University of Leiden. He was a visiting fellow at Churchill College, Cambridge, UK (1978-1979), at the Wissenschaftskolleg Berlin (2000-2001) and at the Netherlands Institute for Advanced Study, Wassenaar, The Netherlands (2002-2003). João Pedro Marques has been a researcher at the IICT (Lisbon) since 1987. He obtained a PhD in History from the Universidade Nova de Lisboa, where he taught African History. He has published dozens of articles and several books on the subjects of slavery, abolition and other colonial issues, including The Sounds of Silence (Berghahn Books, 2006). Chapter 2. Who Abolished Slavery in the Dutch Caribbean?